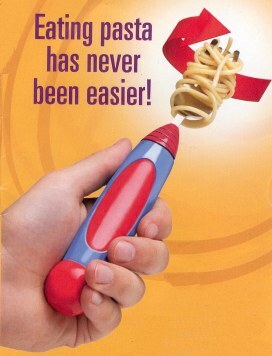 Rejoice, spaghetti lovers! Your pasta prayers have been answered! This self twirling motor poewred fork will grab your long spaghetti noodles for you. No more twirling and twirling over and over with your own hands.